It's My Birthday – what a year it has been. I am grateful for all of the good that has touched me in the past year. Thanks to my wonderful and supportive family, all of my friends near and far and to what has become a community of strength to me, Team Ethan. You all are very special in so many ways – THANK YOU! 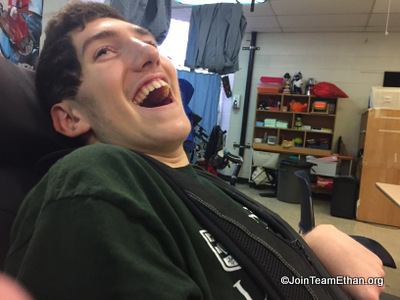 As we head into the new year, think of adding Team Ethan to your list of donations. You can start now for 2014 or make a reoccurring commitment (Team Ethan All Stars) that will continue into 2015. Your donations go to support Ethan and they are tax deductible too! I wish I could meet all of you in person, and hopefully one day that wish will come true. You have provided me with light, with hope and much needed energy. 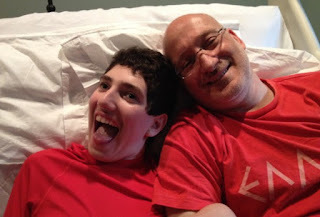 In the year ahead, I plan to focus all of this on helping Ethan to continue his rehabilitation, while supporting and loving Alexia, Zakary and Elyse.